Take the Plunge Into A Bathroom Remodel! After months, or even years of it being on your to-do list, it is finally time to check "remodel bathroom" off the list! Do you have a shower head that barely reaches your shoulders? Is there enough storage space for those extra big towels? Are the fixtures and lighting worn and out-dated? Maybe a bathroom remodel will provide your loved-one the Jacuzzi tub they desperately need. No matter the reason, 3Rs Construction is here to help. The furniture and fixtures in your bathroom get a lot of use and deserve extra attention and our team believes in helping you create a balance between looks and functionality. 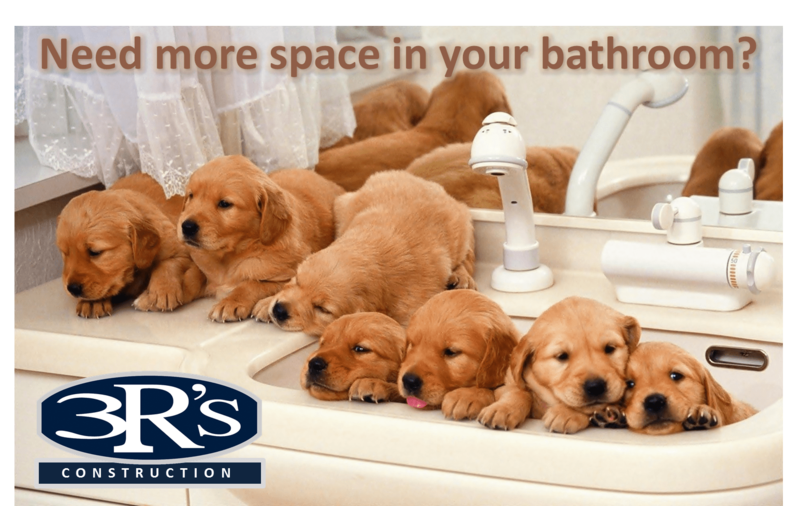 Prior to your bathroom remodel, 3Rs Construction can help you choose from a wide range of toilets, tubs, showers, and sinks that can fit any budget or look. Once those decisions are made, the professionals at 3Rs Construction will coordinate the best possible finishing touches such as custom heated floors, granite counter tops, or a special type of accessory you desire. The employees and staff at 3Rs Construction take pride in using the time proven techniques of blending sheet rock textures, paint colors, and proper lighting to create a seamless transition between the house you live in and the home you are creating. We promise to deliver a great experience and a great finished product. Scheduling a free bathroom repair or remodel consultation with our project manager is easy. Simply call our Salem office at 503-363-1059 or click here to send a message on our contact page. We’ll set up a time that works best with your schedule. Once you have had your consultation, we will work hard to get a quote back to you in a timely manner. As soon as you are ready to proceed, our contractors will get to work repairing or remodeling the bathroom for your home. 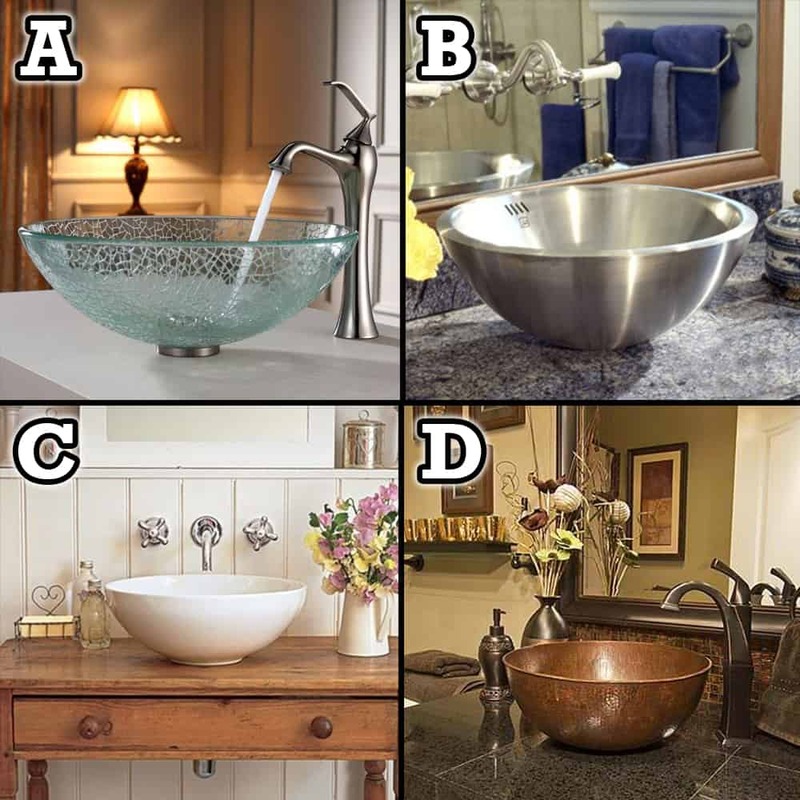 Vessel sinks are very popular these days ...which one would you choose?